Professor Layton Escaping To Global Publishing Freedom! Game developer Level-5 has released a series of popular Professor Layton games through Nintendo onto the Nintendo DS. Level-5, however, is planning its worldwide escape. 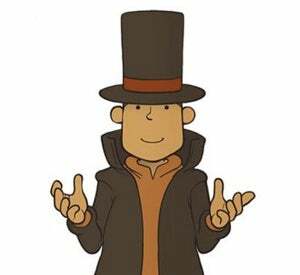 The Fukuoka-based company is looking to publish the Professor Layton titles itself, cutting Nintendo out of the lucrative international publishing deal. Level-5 publishes the games in Japan; however, Nintendo releases the titles abroad. The series has sold millions and millions of titles and has been spun off into a feature animated film. Of course, the games will most likely continue to be released on Nintendo platforms. And the relationship with Nintendo will continue. In a recent interview, Professor Layton designer and Level-5 honcho Akihiro Hino said he would like to handle publishing for Professor Layton outside Japan. Level-5 is opening a new branch in Los Angeles and plans to open one in Europe as well. This is how Level-5 finds publishing freedom! And gets rich (richer?) in the process.